The Bank of Canada is at it again, now tightening Downpayment rules for CMHC insured mortgages. 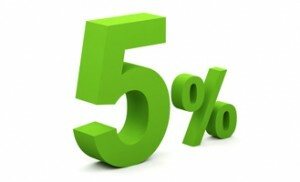 Effective February 15th, the minimum Downpayment requirement for properties above $500,000 will be 5% on the portion UP to $500,000, and will be 10% on any portion over the $500,000 mark. In our opinion, this change will not have a significant effect on our housing market. It may have a slightly higher effect on higher priced markets, such as Victoria, Vancouver, and Toronto. However, most first time homebuyers are still purchasing property under $500,000, and may not be qualified for purchases above this mark anyways. Qualified applicants that are looking in the higher ranges will only have to come up with an additional $5000 per $100,000 in purchase value above the $500,000 mark. We may expect a very slight increase in property purchases of $500,000 or more in the next two months, with some buyers that were looking at a minimum downpayment wanting to get into the market before the new rule takes effect. After the rule takes effect, we might see some upward pressure on properties priced below $500,000.